In November, National Family Caregivers Month, we are encouraged to remember and honor the family caregivers in our lives. Nearly one third of American adults is a caregiver to a relative, whether full-time or part-time, long-distance or down the hall, physically or emotionally. The unpaid care that these family members give, often in addition to working and raising children, is worth close to $500 billion dollars every year. This holiday season, if you’re not the family caregiver, the odds are high that there is one in your life. Family caregivers do a very tough job that can be physically and emotionally draining. This is a great time of year for friends, family and loved ones to show them they’re valued, appreciated and loved. 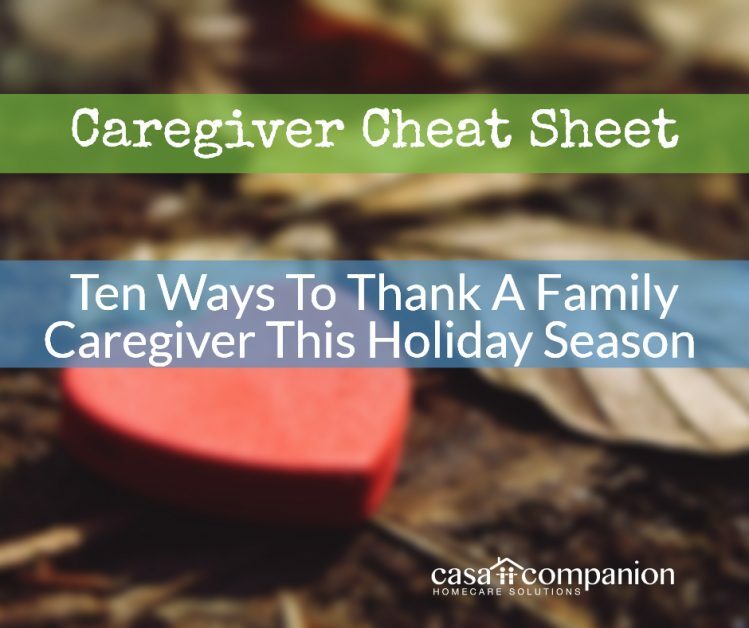 While caregivers work hard all year long, the holiday season can be the most challenging. The holidays add extra fun and stress to everyone’s plate, and expectations for a joyous holiday season can be high. Family caregivers can take this on for themselves, their charges, and the rest of the family. That leaves little time for self-care. Self-care for the caregiver is one of the best gifts you can give, and here are ten ways to help the caregiver in your life replenish their physical and emotional batteries. Say “thank you!” It’s nice to hear. Let the caregiver know their selflessness has inspired you, by paying it forward or practicing random acts of kindness. Kindness is viral. Send a card or note recognizing them and what they do for the family. When you’re not there, a card will remind them of what you said and how you feel. Cards may be old-school, but they can inspire a smile multiple times a day. Encourage them to take time for themselves and remind them how important their own self-care is. A common issue for caregivers is how their own health suffers because they focus on the health of everyone around them, at their own expense. Actively urging them to spend time on themselves will dispel any notions they may have that self-care is selfish or wasteful. Nothing could be further from the truth and hearing it from another family member may make a big difference. If the family caregiver in your life gives full-time care, then a break from responsibility and time alone could be the most valuable gift of all. If you can take their place at home for a few hours or a day, consider a gift certificate for spa services, salon services or a shopping trip. Whether they prefer a massage, a makeover, or malls, give an experience plus time away from responsibility. 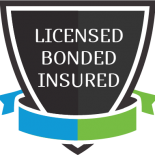 If you can’t cover in person or professional care is required, pay for respite care. Qualified home care aides can take over for the family caregiver for a couple of hours, a couple of days, or overnight. Knowing their loved one is in good hands will allow them to truly relax and recharge their batteries.